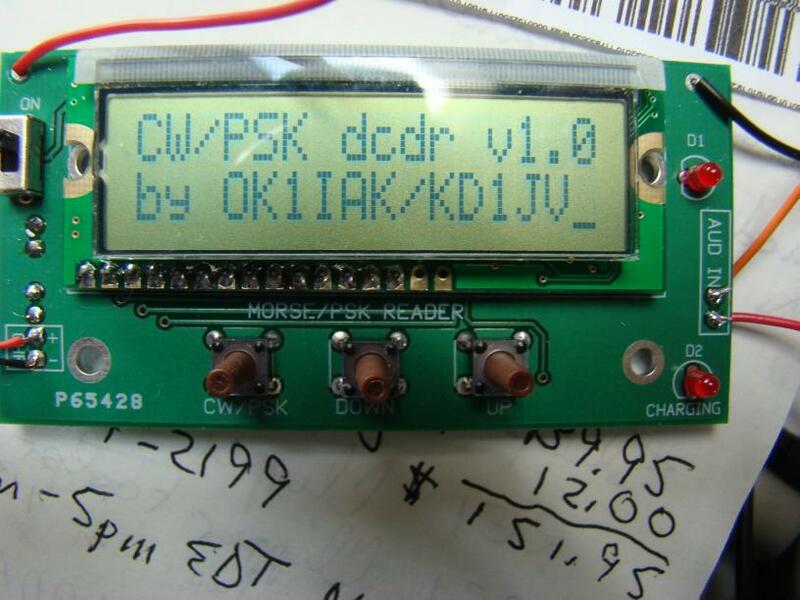 A Software Defined Radio, sold by www.qrpkits.com. 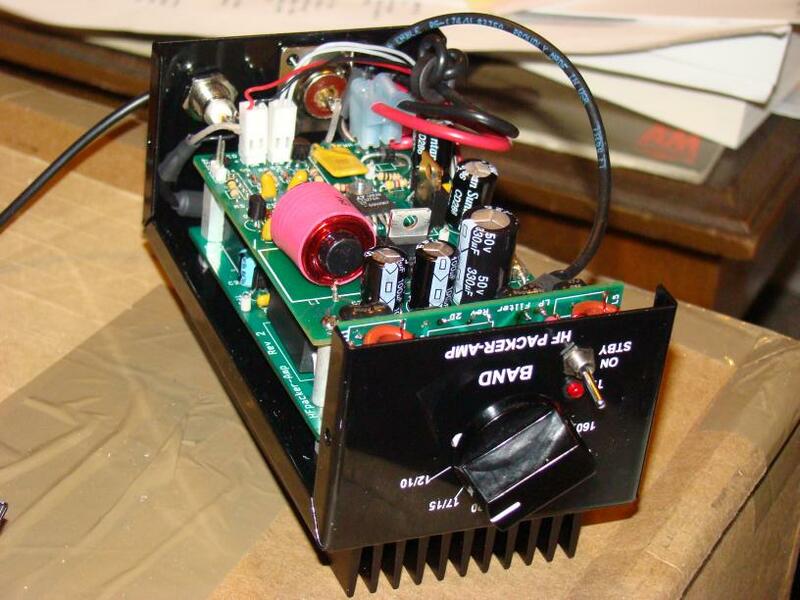 Mine is the 30m Radio and I have finished assembly and only need final testing and then put it in an aluminum box I have for it. 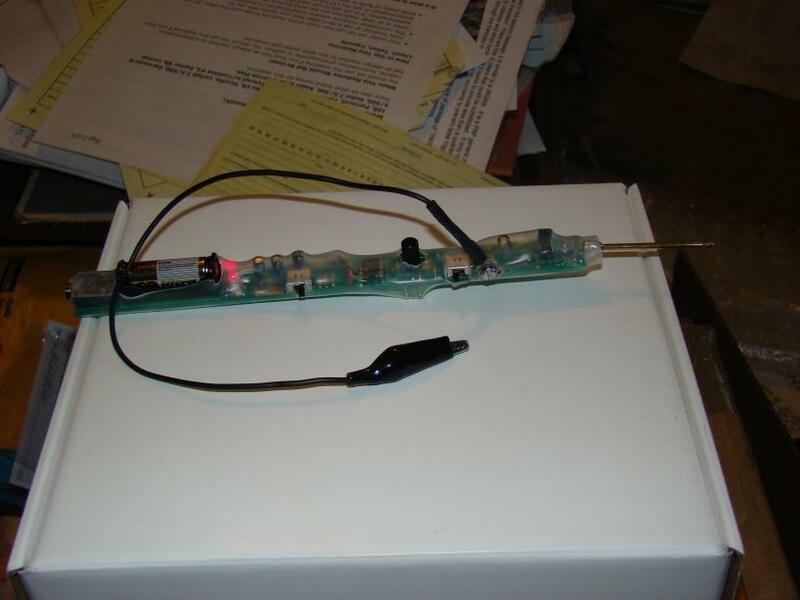 I have finished and tested a nice little kit called a "Norcal S-9 Signal Generator" It comes with crystals for 3.579, 7.040, 10.116, and 14.060 Mhz. 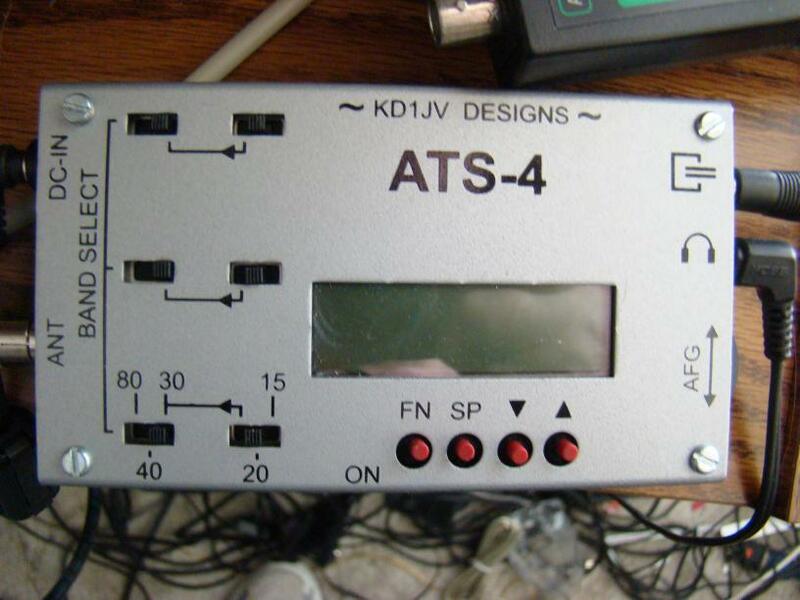 It sells for around 30.00USD and has some SMT parts but, they are few and well spaced so don't let that put you off. Oh! as the circuit is simple you can substitute crystals for just about any band combination you feel you need. 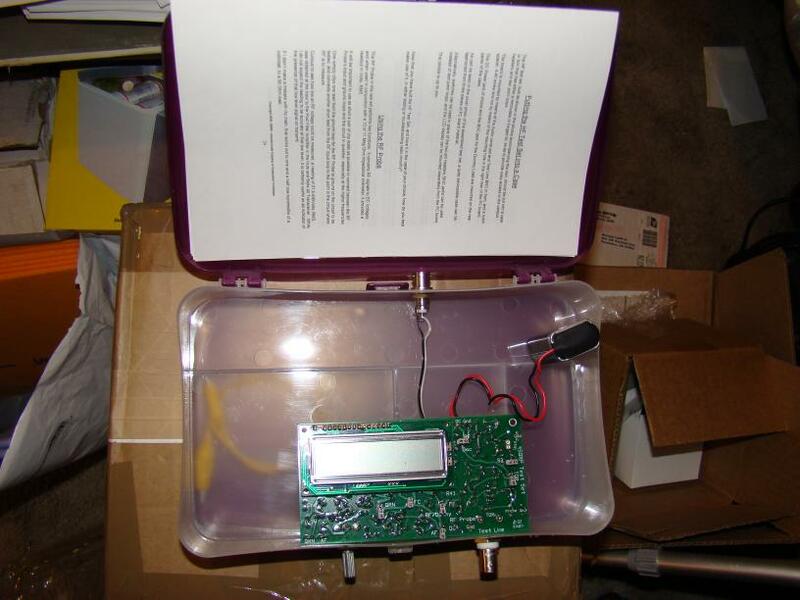 Kit can be purchased on the Norcalqrp website and can be used bare or put into a the infamous, "Altoid Tin". ^^^ See Above for text, There are 2 units in the picture. The one on the top is a Standard unit set for 80m,40m,30m,20m. 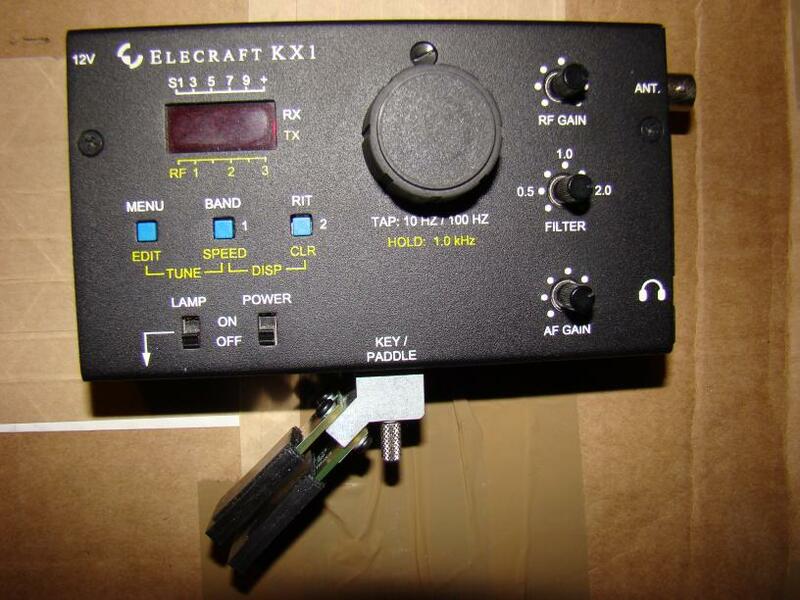 The bottom unit has been modified to be used with my Elecraft K1 qrp rig and is set to 40m,30m,20m,15m. 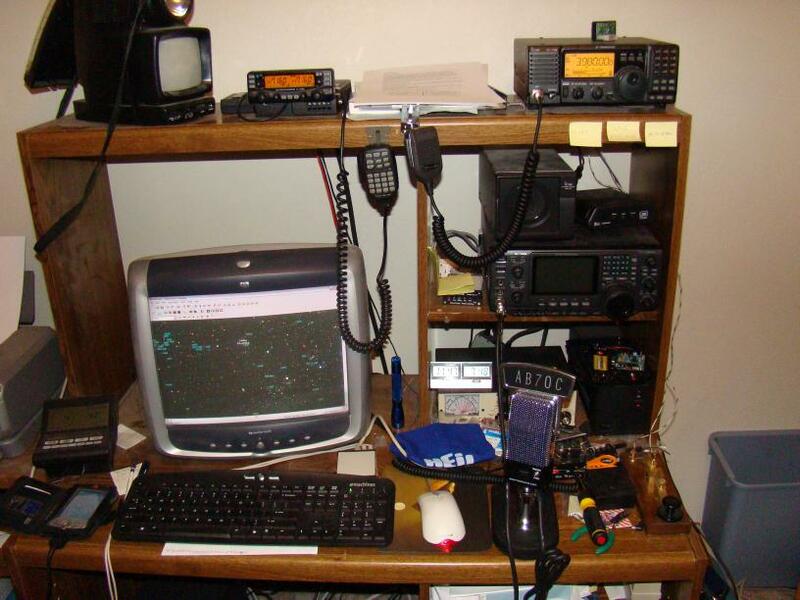 <----This is a picture of my "Kit Shelf" with most of my QRP kit's on the shelves. 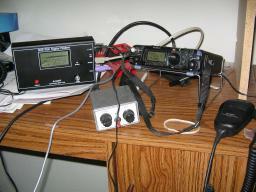 <------This is a picture of My main Radio's and Hamshack Computer,included are IC-2720,IC-718,IC-746,various tuners,speakers and Power supplies. 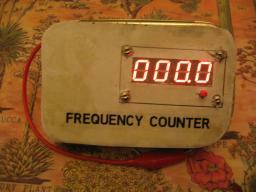 <----This is a picture of a Digital Dial/Frequency Counter Kit. 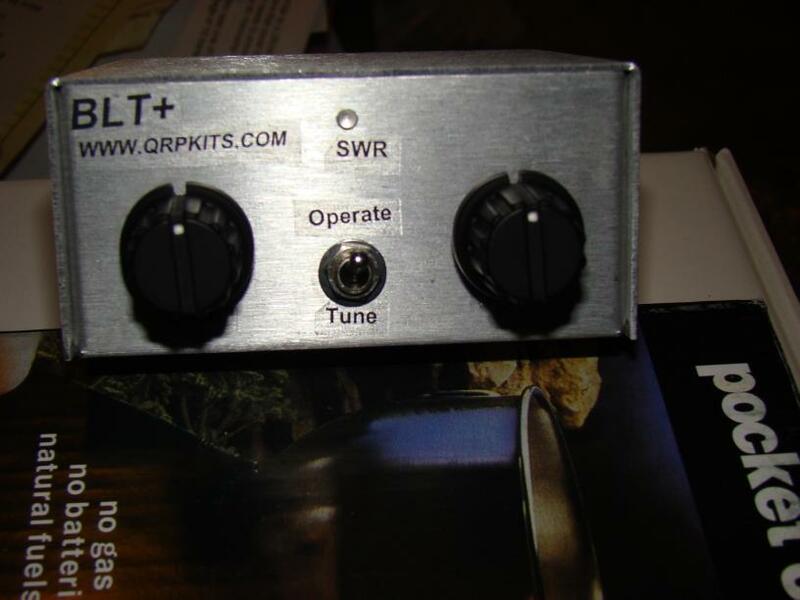 Sold by www.qrpkits.com and built in an Altoids Tin.It is sensitive enough to pick up signals by wrapping the 'Input" lead around the coax of the unit you are checking. 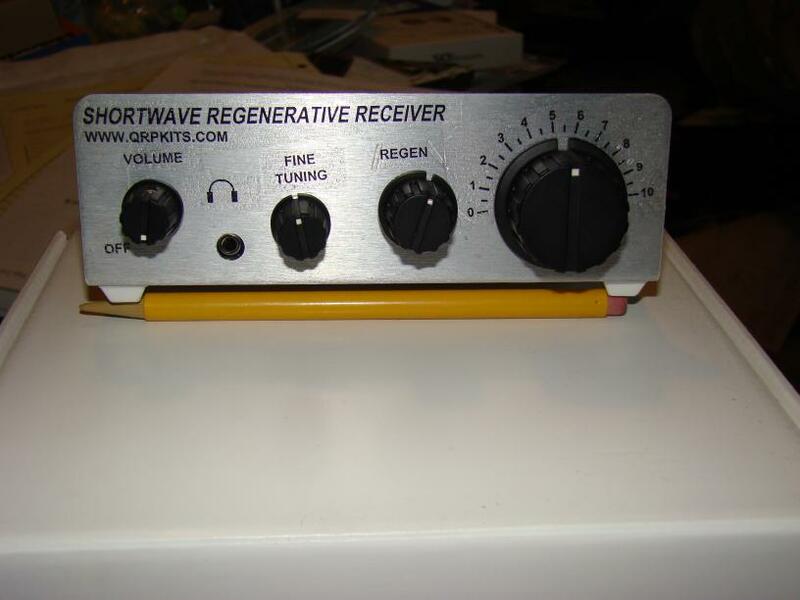 It reads both Mhz and Khz via mode select and has other uses available. 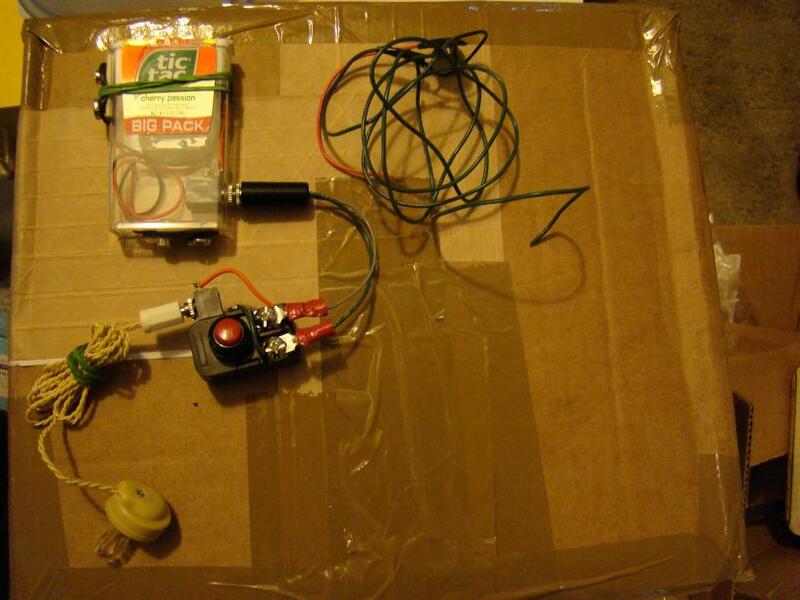 <----------Another kit finished lastnight Jan 8,2009. 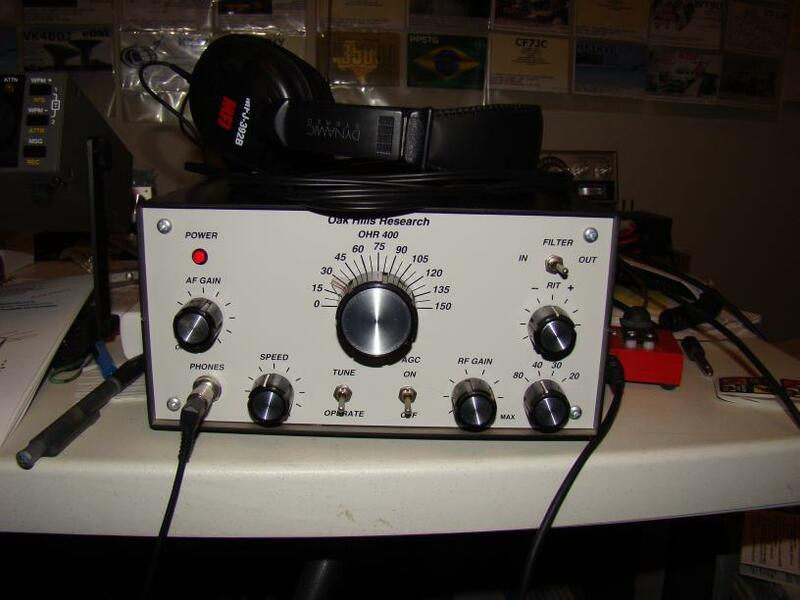 It is a DC40B 40m QRP rig sold by www.qrpkits.com took an evening to build and only needed DMM and Power meter. 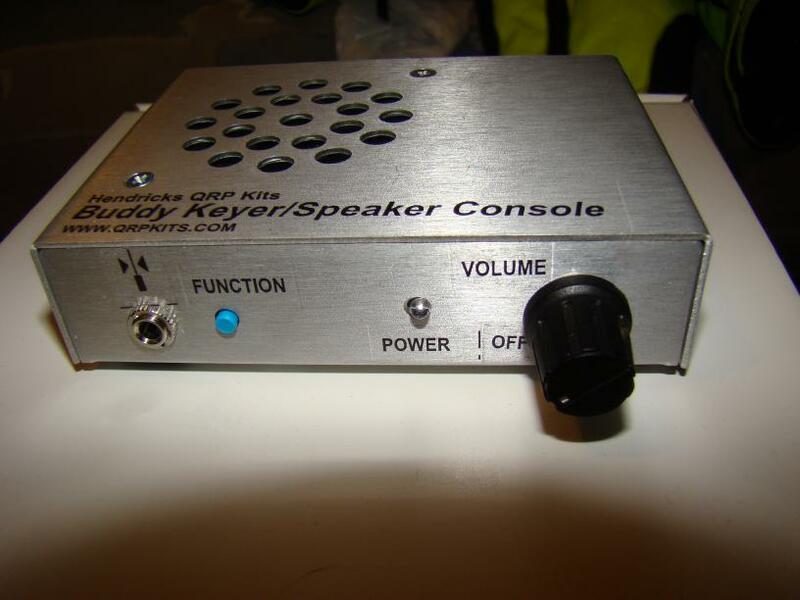 tested out at about 1.3 Watts, has built in keyer,and comes with aluminum case and decals. 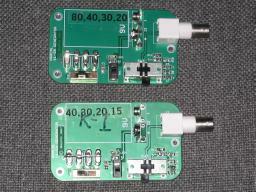 <---------BSI Kit,(Battery Status Indicator) Kitted by www.qrpkits.com. Mounted in a Project Box. 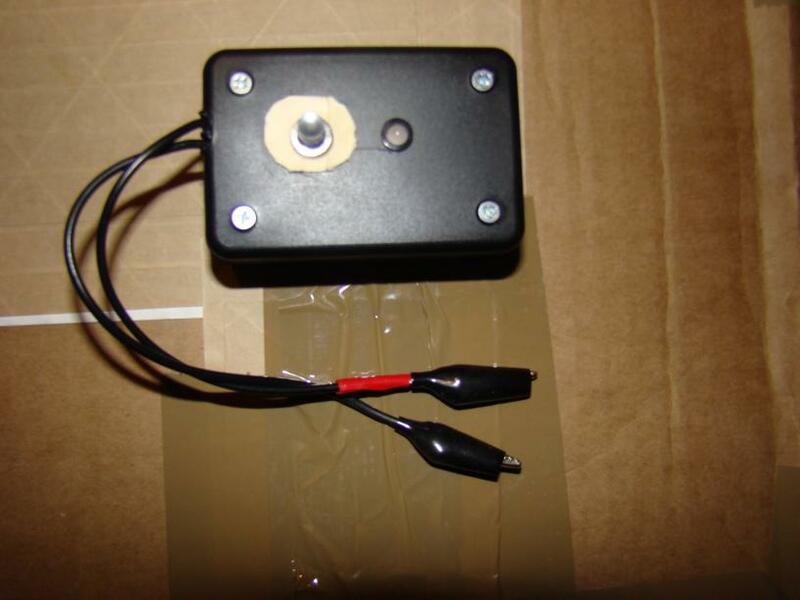 Push Button and LED on top,pushing button shows battery status on LED by color,(Green,Yellow Red) Will be used in the field to indicate battery condition of SLA batteries,(12v 2Ah) for use with QRP Rigs. 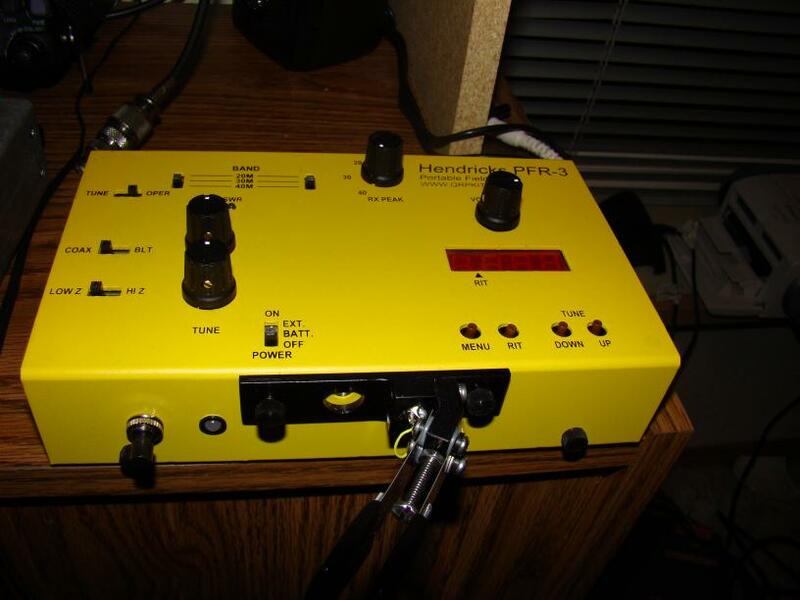 First kit in APR09 It is called a "Hamfest Buddy" Output is about 60mW, this rig is on 40m,and is built in s "TicTac" Box. 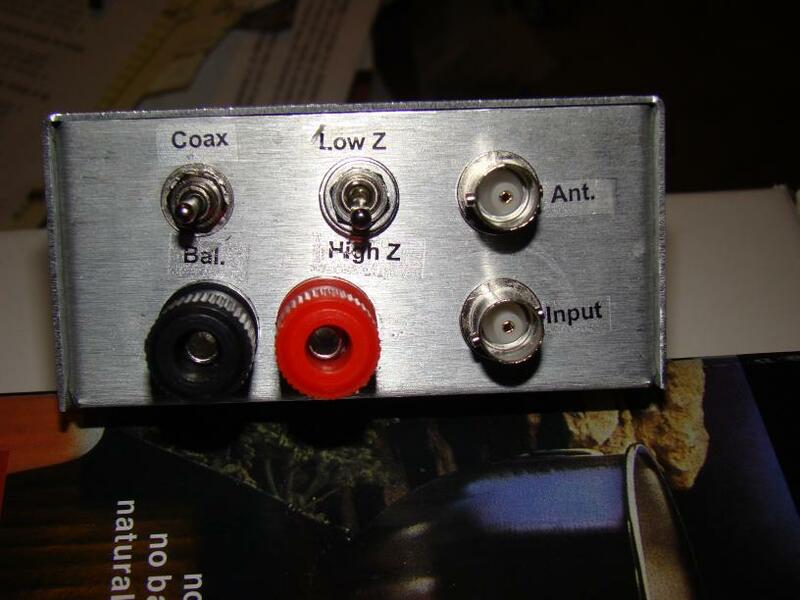 The round red knob below it is a CW key built from a 70/300 Balun with a push button momentary on switch. Connected to it is an earphone for REC and in the upper right of the picture is a random wire antenna. 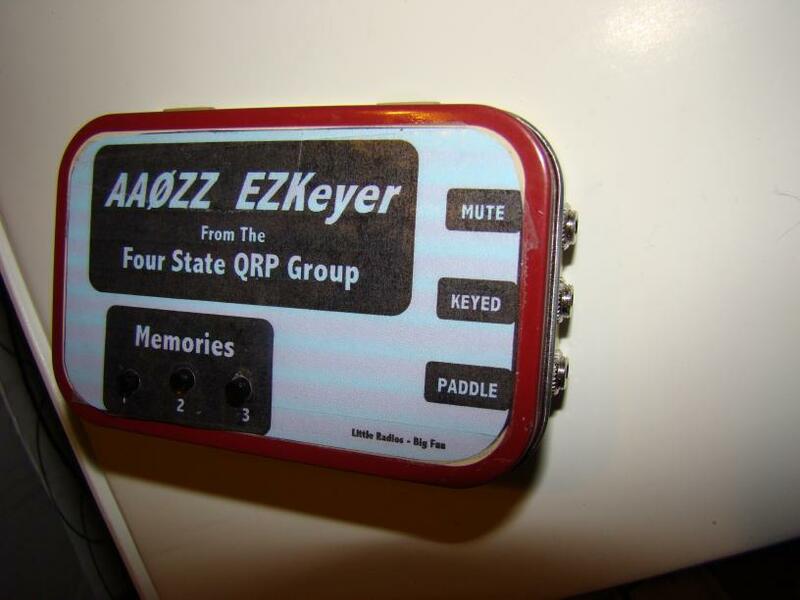 Radio is meant to be used at Hamfests,in the room to talk to other Hams in the Hotel.Info can be obtained at: www.k4twj.blogspot.com as to purchase,and how to make the key.